As part of our ongoing celebration of National Poetry Month, we are excited to host the Poets of Other Persuasions poetry reading this Friday, April 17th, at 7pm. The event will feature readings by James B. Nicola, Alfred Encarnacion, Rachel Hadas, and Jennifer Michael Hecht. 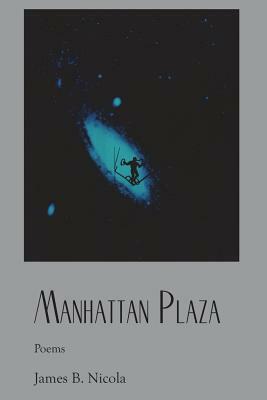 Looking forward to the upcoming event, we interviewed James B. Nicola, author of Manhattan Plaza and Stage to Page: Poems from the Theater, which is scheduled for publication in 2016. A Yale grad and stage director by profession, Nicola's non-fiction book Playing the Audience won a Choice award. Also a composer, lyricist, and playwright, James’s children’s musical, Chimes: A Christ­mas Vaude­ville, premiered in Fairbanks, Alaska, where Santa Claus was rumored to be in attendance on opening night. How did you come to be a poet? I went back to my alma mater to direct a musical. As an undergraduate, I'd written music and lyrics every day, having a key that provided access to gated buildings with pianos. As an alum, decades later, I was staying off-campus and couldn't get to a piano every day. So I started writing sonnets--every day. And other poetry. Since then I have written, or rewritten, daily. Do you prefer pen to paper or keyboard to computer? Pen and paper, or pen in journal, always, for first drafts. And preferably outside! Tweakings and even more substantial rewrites might occur onscreen. a. From caring -- to a fault, unable to turn that particular "valve" off. And also from being unable to come up with the right words in situations immediately--so the writer in the back of my mind relives those moments to find the words I wish I could have improvised in the moment. b. From the daily, omnipresent miracle of existence. Floors me and fills me with gratitude. What was the last book you read that took your breath away? Les Miserables, by Victor Hugo--in French. I had episodes of shivering with tears and joy FIVE TIMES over the course of the novel. And still remember where in the novel they happened. That Victor Hugo. Do you have a personal favorite book of poetry? If so, can you share it and tell us why? Emily Dickinson's collected, I would say. I flagged more of her poems as awesome "favorites " (to read again and share) than any other tome. Though I usually say that Yeats is my favorite poet. And my Selected Poems of Robert Penn Warren has an amazing number of poems with bookmarks in them. But Dickinson has hundreds.